Pyramids Family Inn i Giza, Egypten : Boka nu! 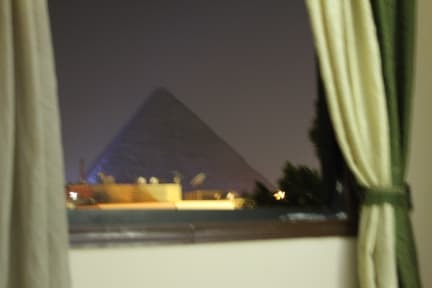 Pyramids Family Inn is set in Giza region. Featuring a shared lounge our property is located within 1km of Giza Pyramids. 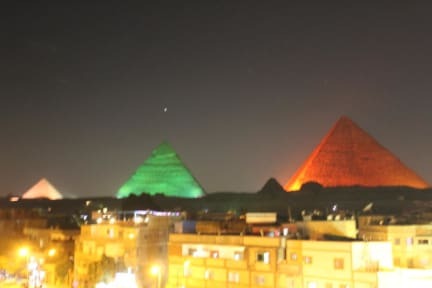 Guests at Pyramids Family Inn will be able to enjoy activities in and around Giza and Cairo. The accommodation can conveniently provide information at the reception to help guests to get around the area. Great Sphinx is 1km from Pyramids Family Inn. The Egyptian museum is 7 km from Pyramids Family Inn, The nearest airport is Cairo International Airport, approx. 35 km from the inn. We are 25 minutes from downtown area. All rooms include air conditioning, and certain rooms at the Inn have a balcony. The units will provide guests with a private bathroom. Breakfast is available every morning, it includes continental and buffet options.